VIRAL: 1.1M Sign Tom Steyer's Impeachment Petition - Joe.My.God. 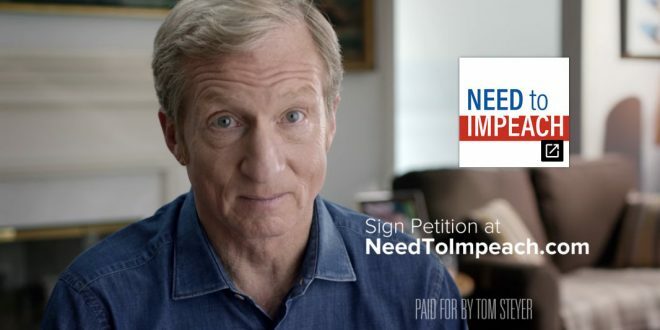 Billionaire political activist Tom Steyer, who called for President Trump’s impeachment Oct. 20, with an ad that quickly went viral and was even noticed by the president, said he’s collected 1,119,720 signatures on his impeachment petition. Impeachment proceedings are incredibly difficult to carry out, as we’ve written before. But more than a million names in ten days highlights the opposition to a president with a sub-40% approval rating.